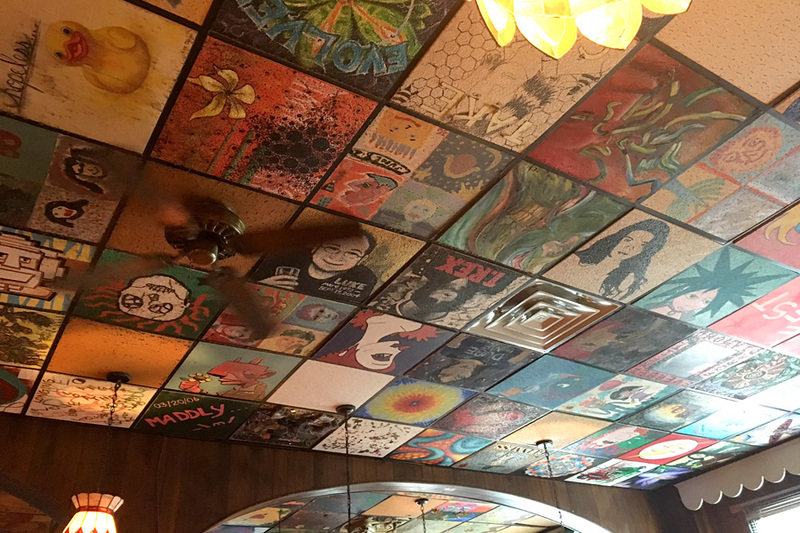 March 16, 2015- Adriatico's Pizza, 265 W. 11th Ave. The king. The gold standard. The prize-winner. The best campus pizza since 1985. Detail from a lithograph of the Methodist Missions Centenary, a colossal month-long world's fair of Methodism, held at the Ohio State Fairgrounds in the summer of 1919. 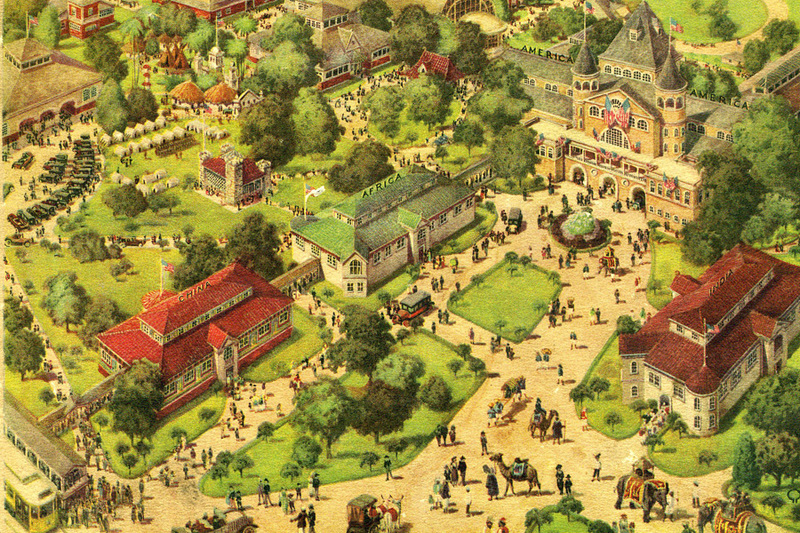 Of the depicted buildings, only the red-roofed building at lower left (Fine Arts Building) and The Coliseum (top-center) are still extant. 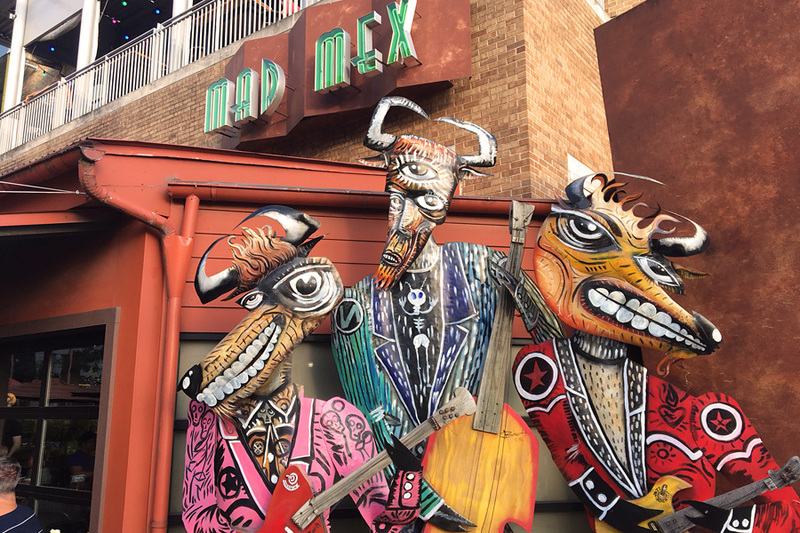 July 11, 2016- Mad Mex, 1542 N. High St., in the South Campus Gateway. 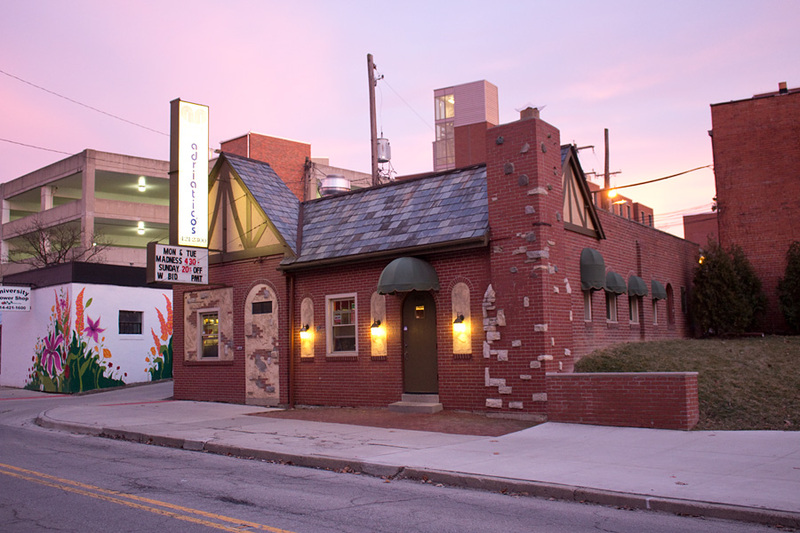 The Columbus outpost of this Pittsburgh-based chain has been there since the beginning back in 2005. 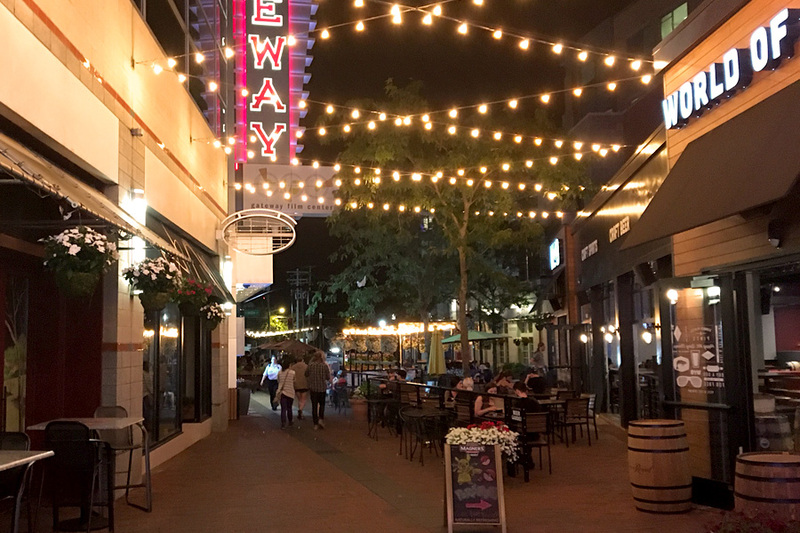 It's open until 2 AM and the late night margarita special is very popular with students. July 18, 2016- Late on a summer evening at the South Campus Gateway. July 23, 2016- Hottest week of the year here. Valerie stays cool on Oval Beach. July 27, 2016- It's Fair Week! 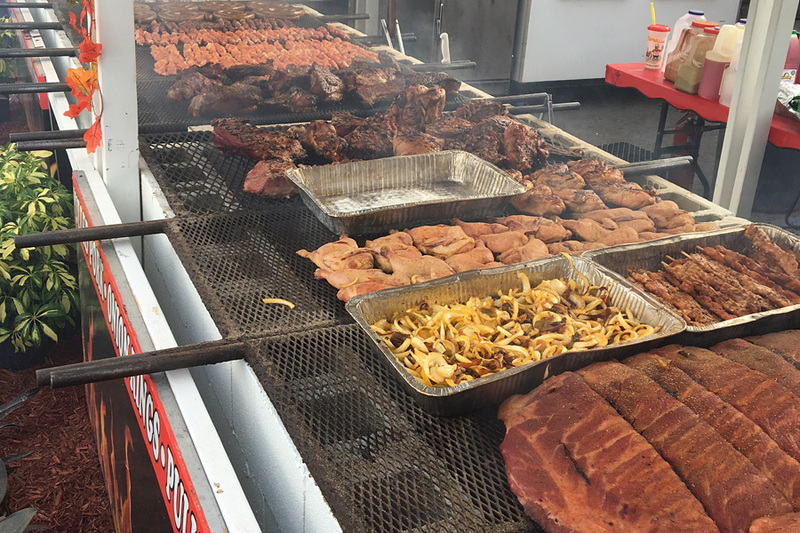 Tasty meats cooking at the 163rd Ohio State Fair. 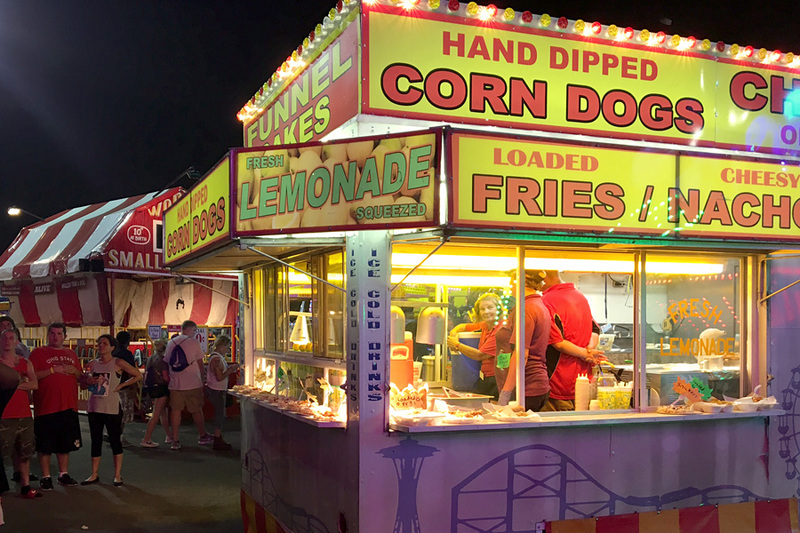 August 5, 2016- Late night dining at the 163rd Ohio State Fair. 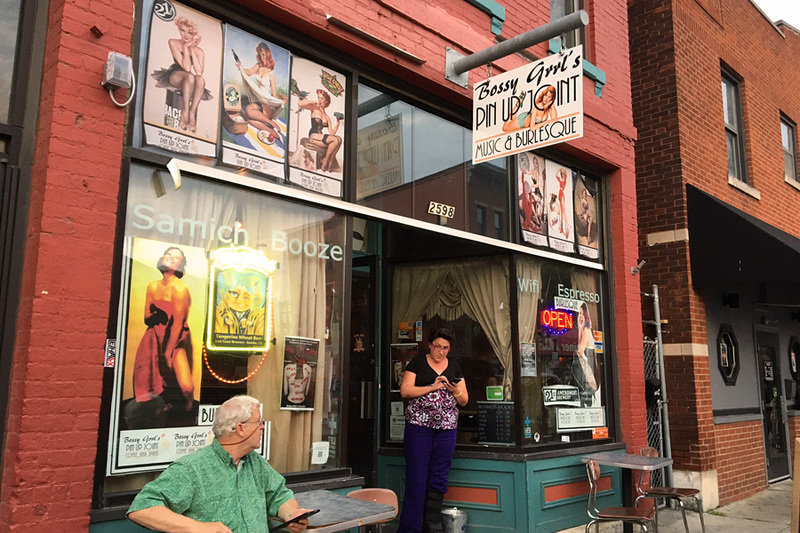 July 31, 2016- Bossy Grrl's Pin-Up Joint, featuring burlesque Mondays and Fridays, 2598 N. High St.
August 11, 2016- Ceiling tiles decorated by regulars at Blue Danube Restaurant, 2439 N High St. A campus mainstay since 1940. 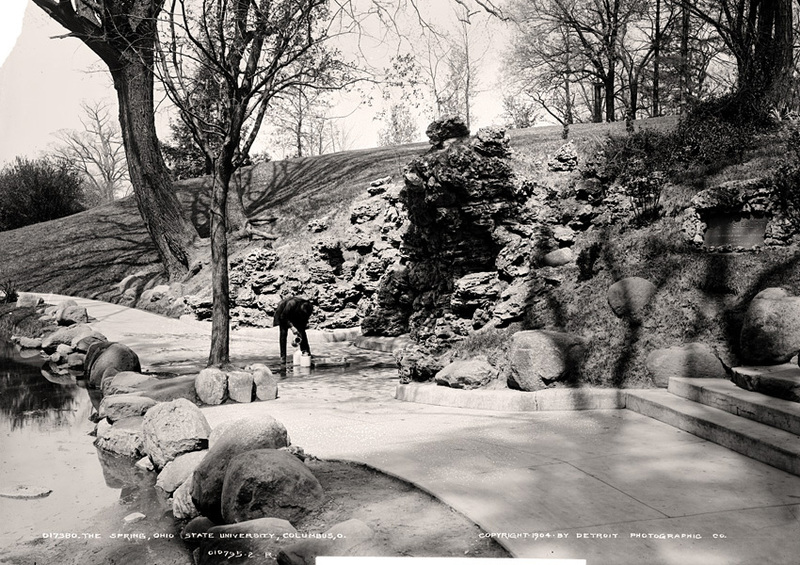 1904 Detroit Photographic Company image showing man filling water jugs from The Spring.